Who doesn’t like easy meals??!!! 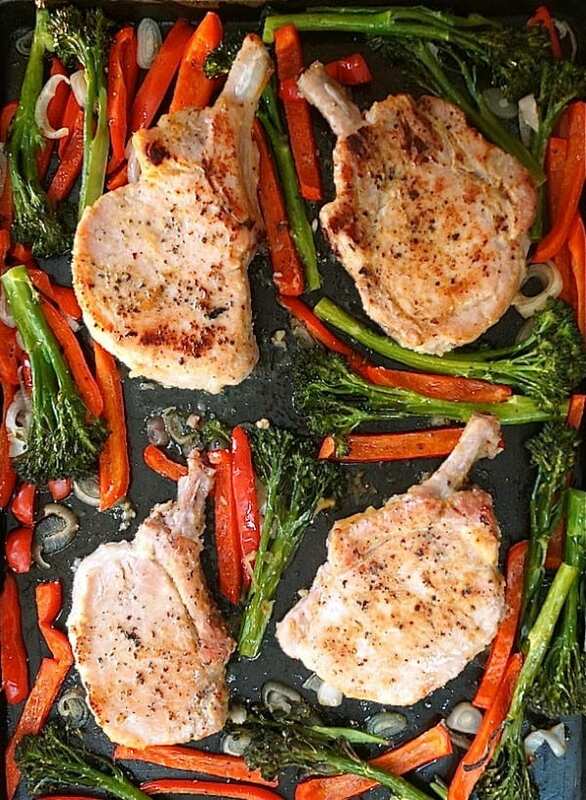 I love them and with the onset of sheet pan dinners, nothing can be easier. 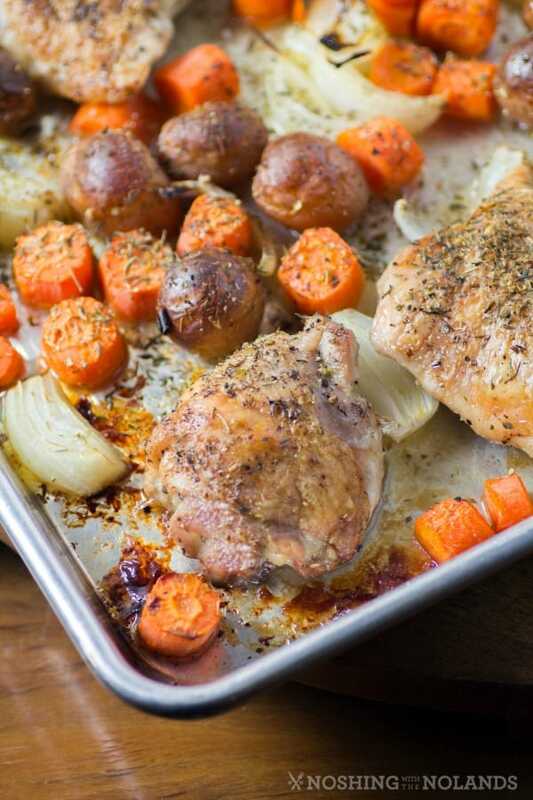 That is why I am bringing you 38 Great Sheet Pan Dinners! I am a huge fan of these at anytime of the year! 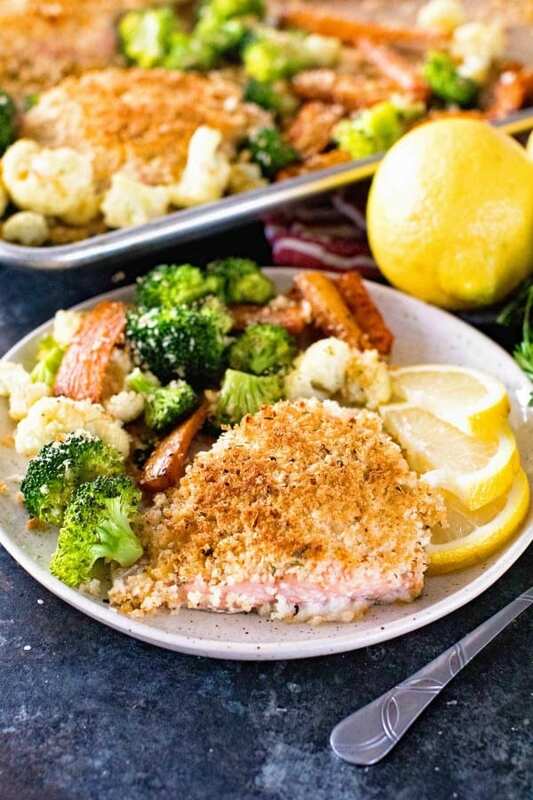 Whether it is chicken, sausage, pork, salmon, steak, we have an easy healthy recipe for you! What is your veggie preference? 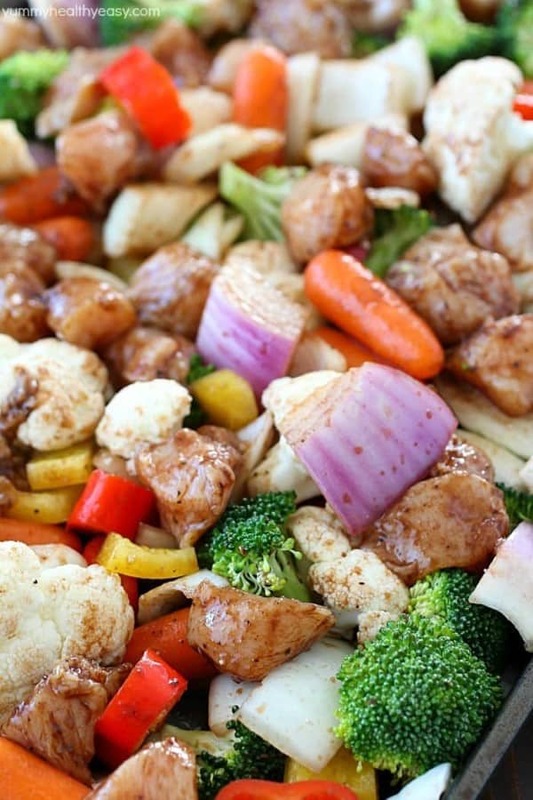 Load on the potatoes, sweet potatoes, broccoli, green beans, Brussels sprouts, bell peppers and more. 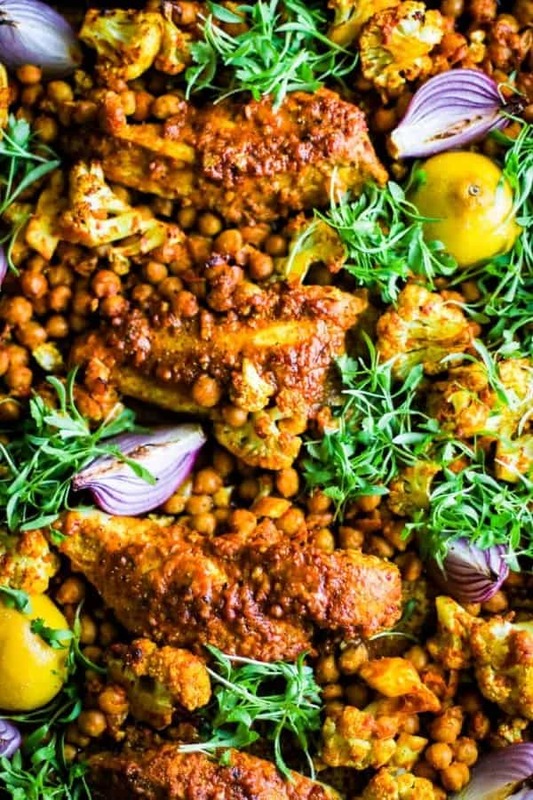 We have a bunch of wonderful recipes for you to try, and we have broken them down into these categories, chicken/turkey, beef/pork, seafood and vegetarian/vegan. I love this “make it, bake it and forget it” kind of approach to meal making. This gives you time to regenerate, reconnect or get a few chores done before dinner is served. 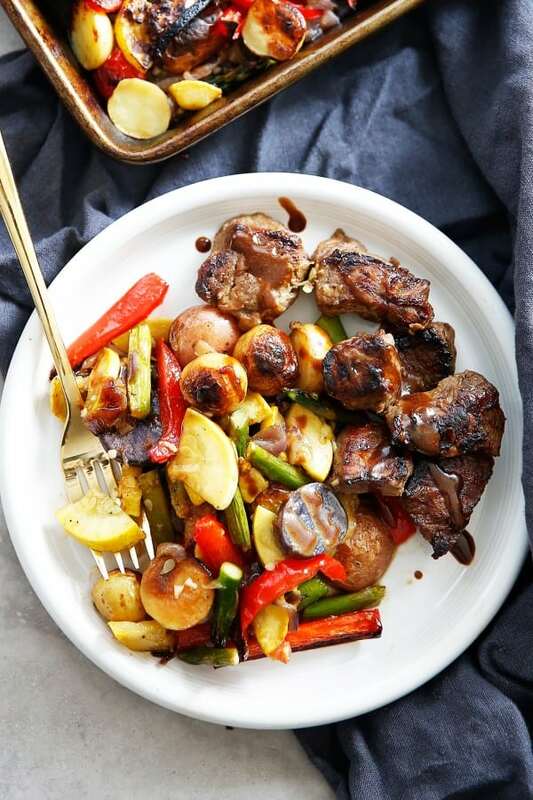 A simple chop, simple sauce and toss and you have a pretty amazing weeknight dinner on the table in no time. 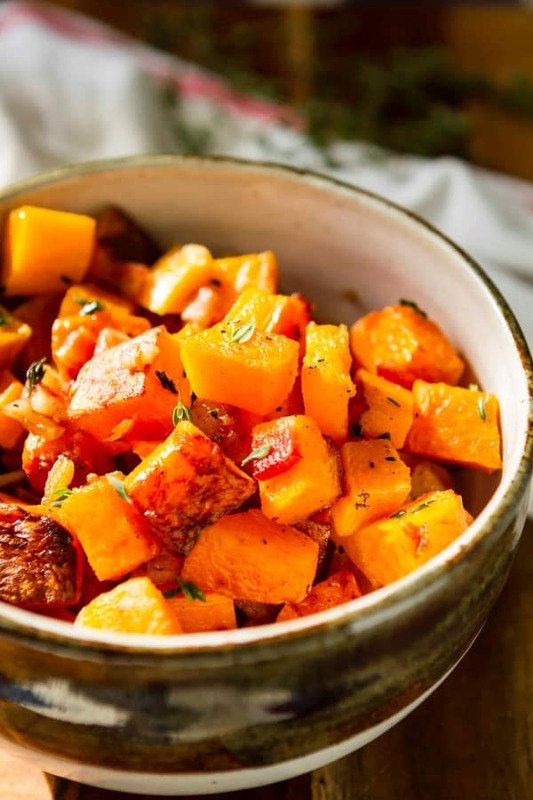 Most people have tried roasting potatoes in the oven but so many vegetables turn out fabulously this way too. 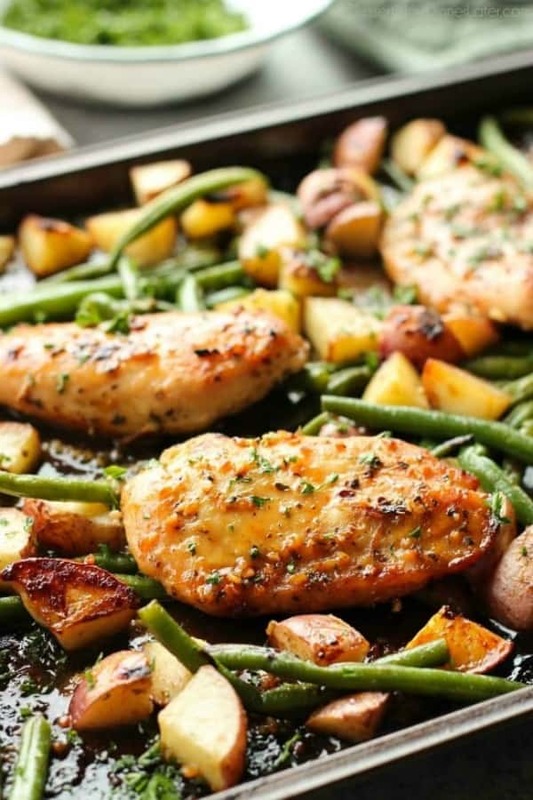 All you need is a baking sheet with sides to make these meals, what could be easier? 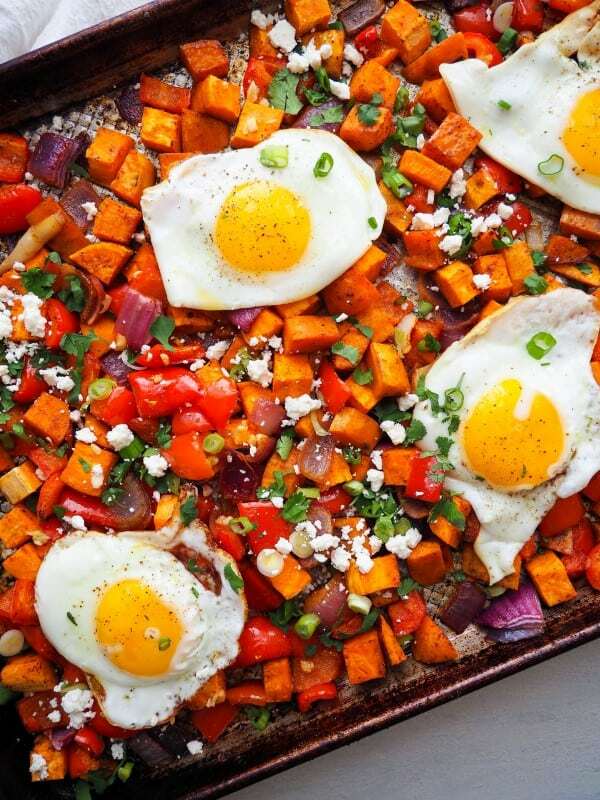 And cleanup is one pan too! 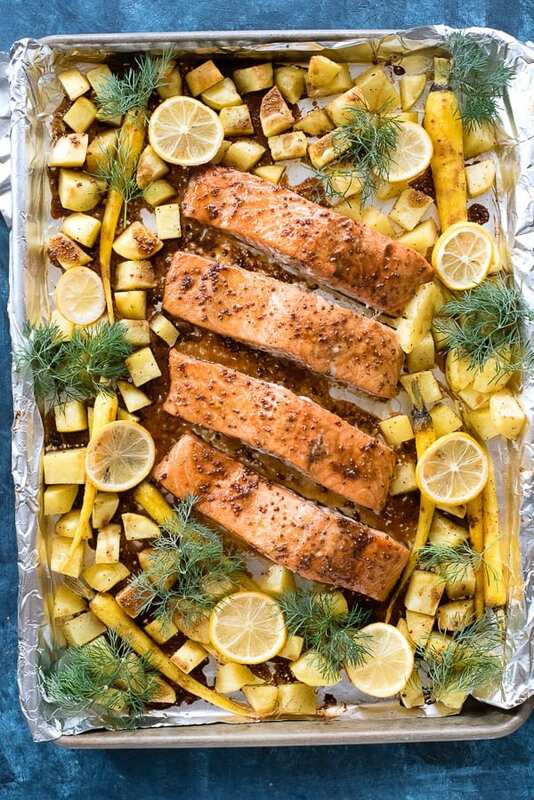 Even easier, line the pan with foil and you have virtually zero cleanup. 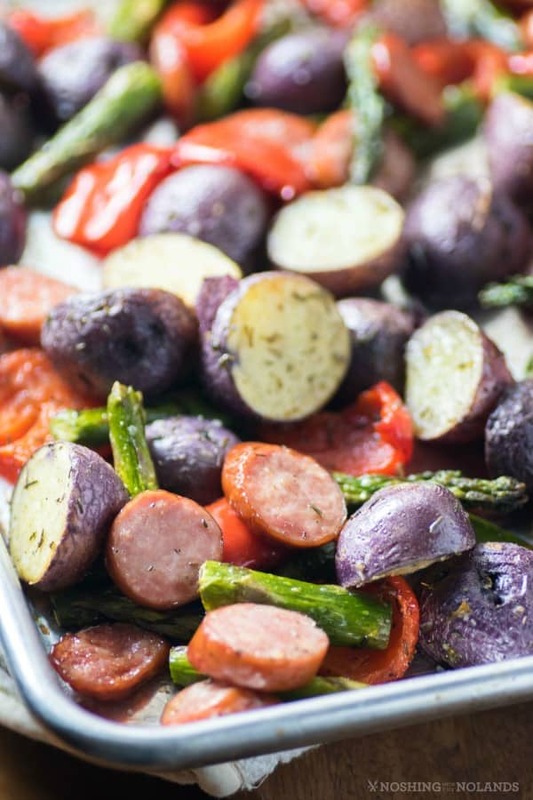 What is a sheet pan dinner? 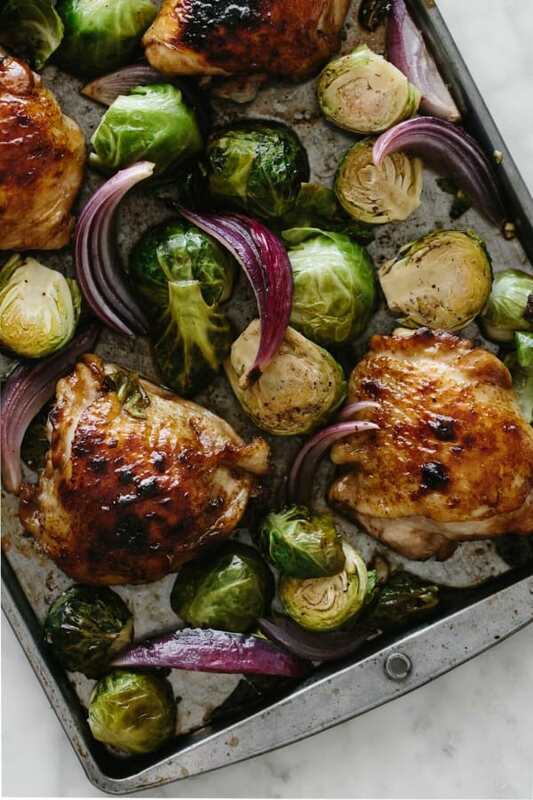 For the most part your entire meal will be prepared and baked on this one baking sheet. 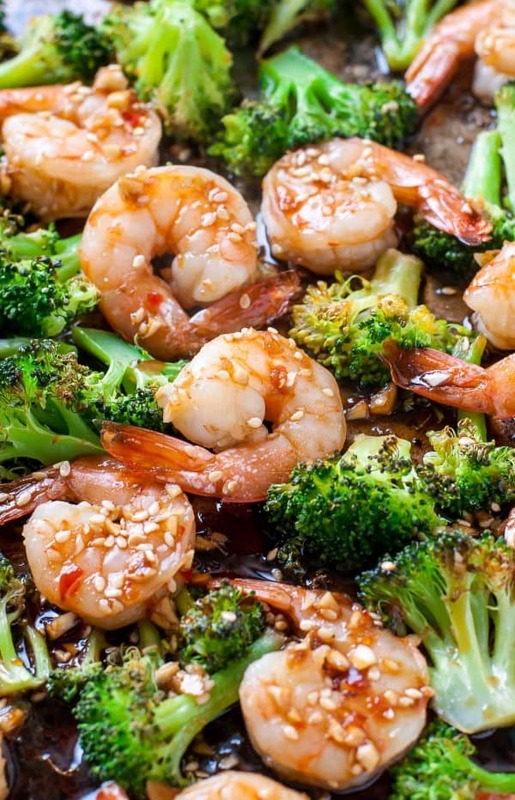 Some recipes require just a little more to put together but all are quick and easy. 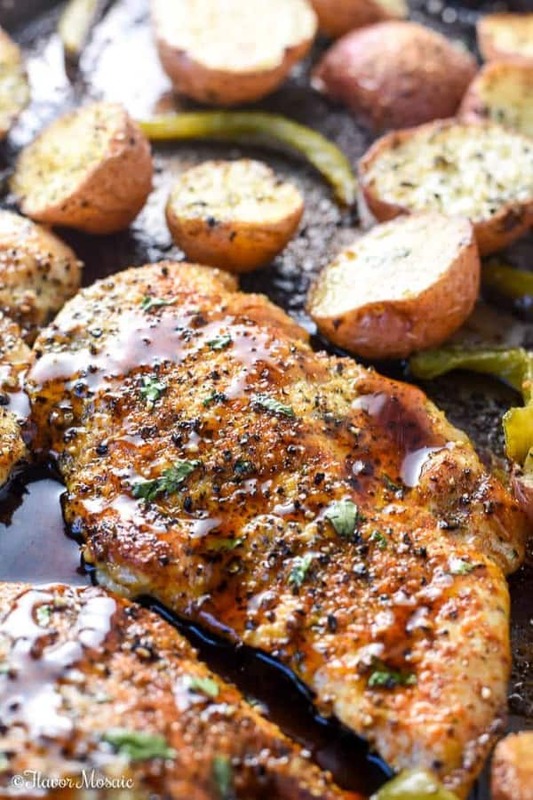 Chicken is my number one go to for a sheet pan meal. 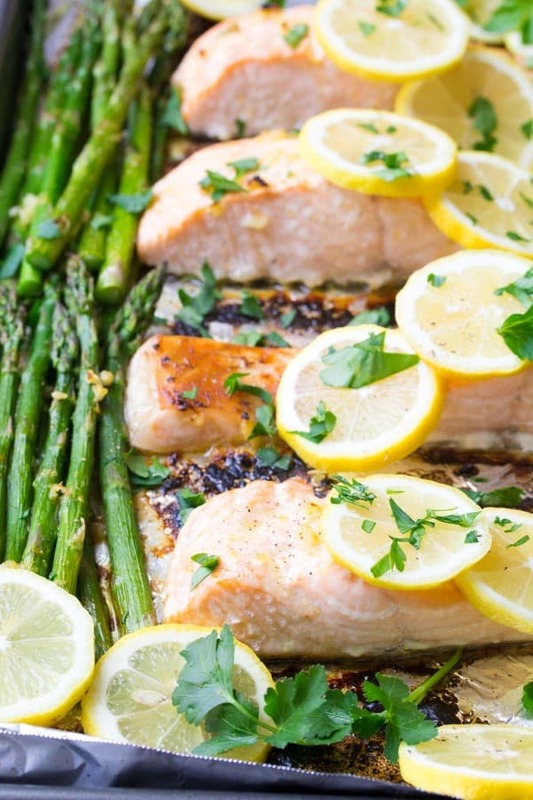 It turns out simply delicious and juicy and is a crowd pleaser for sure. 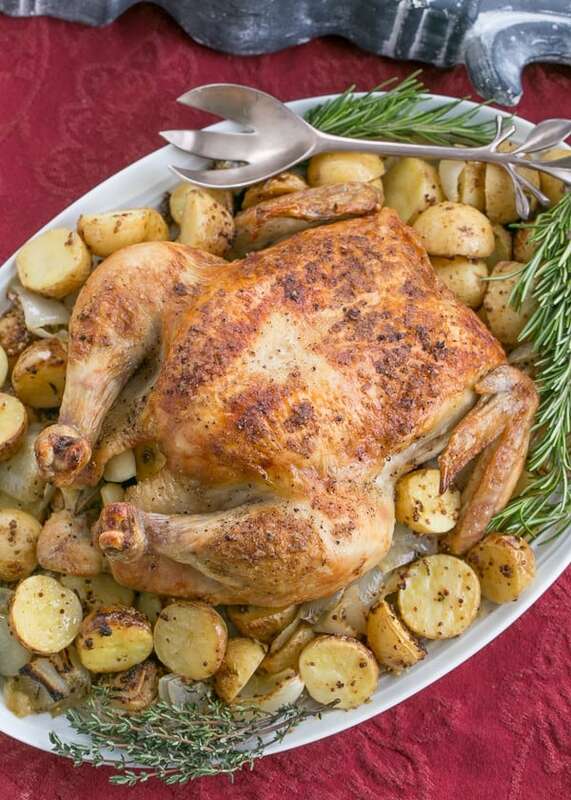 Chicken always has everyone coming to the table quickly. 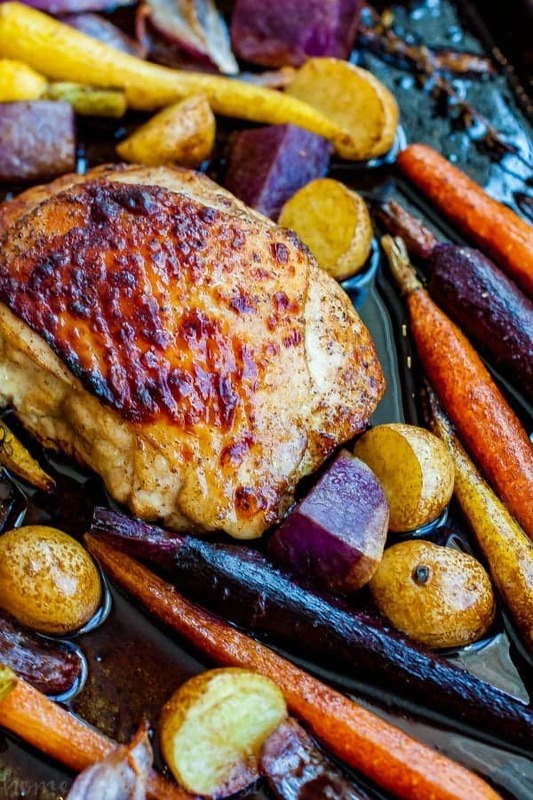 Chicken thighs or chicken breasts turn out great being roasted like this. 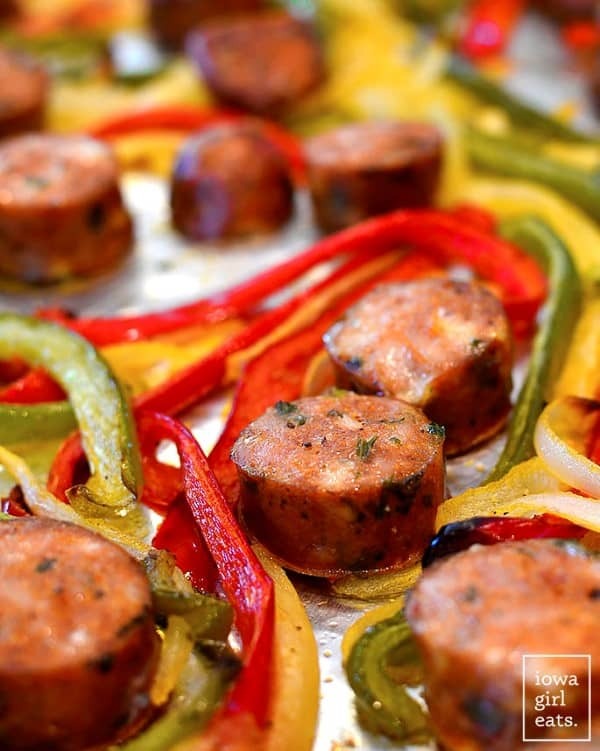 I have not used turkey instead of chicken but have used turkey or chicken sausage. 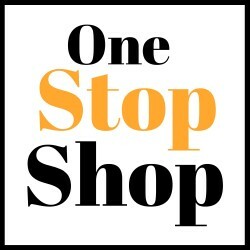 They are probably again my number one go to for a sausage now. Enjoy this section of recipes but there is still lots more to come!! 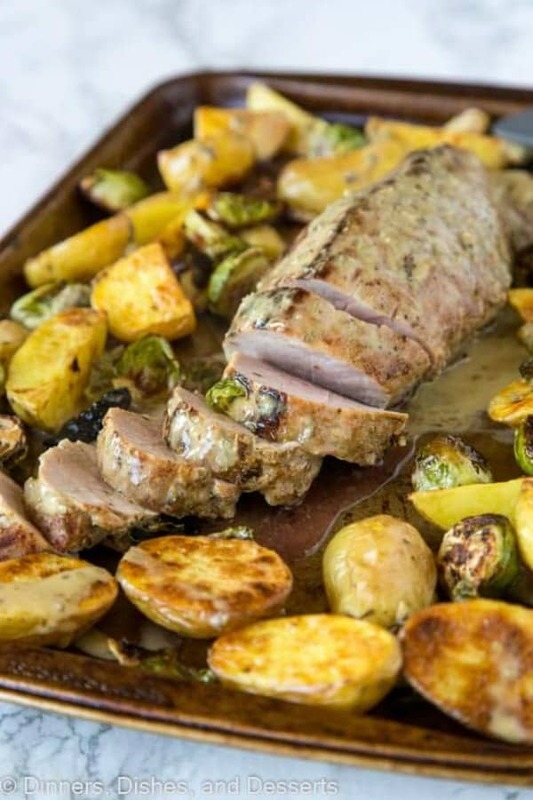 Besides a chicken sheet pan dinner we have for you beef or pork too. 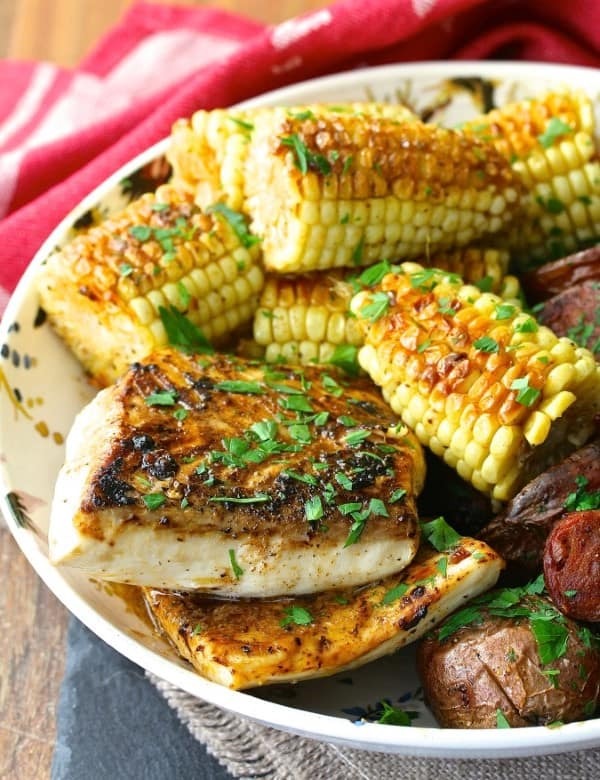 From Steak Tips to Pork Chops and beyond!! This section of recipes is awesome. We even have breakfast for you! And I love breakfast for dinner, one of my fave things to do as a treat!! 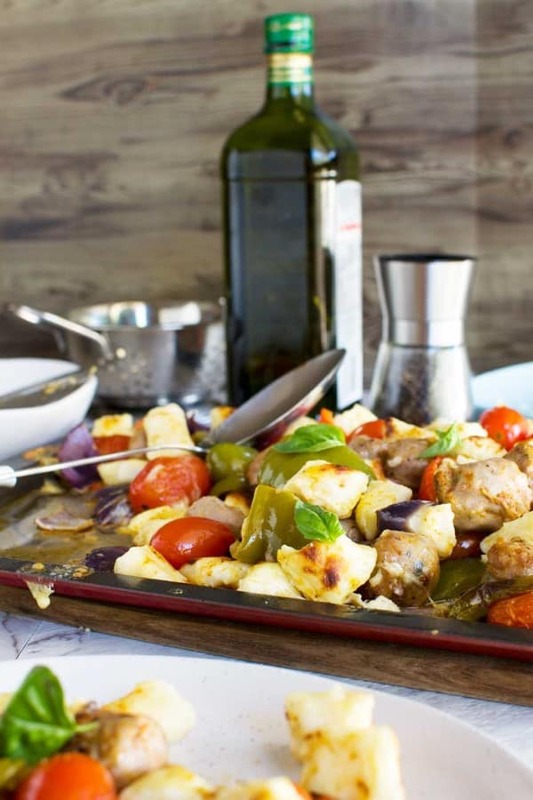 Did you know you can do a pasta like a gnocchi in an easy sheet pan dinner? Yup, we fry gnocchi up to, so it can easily be roasted also. 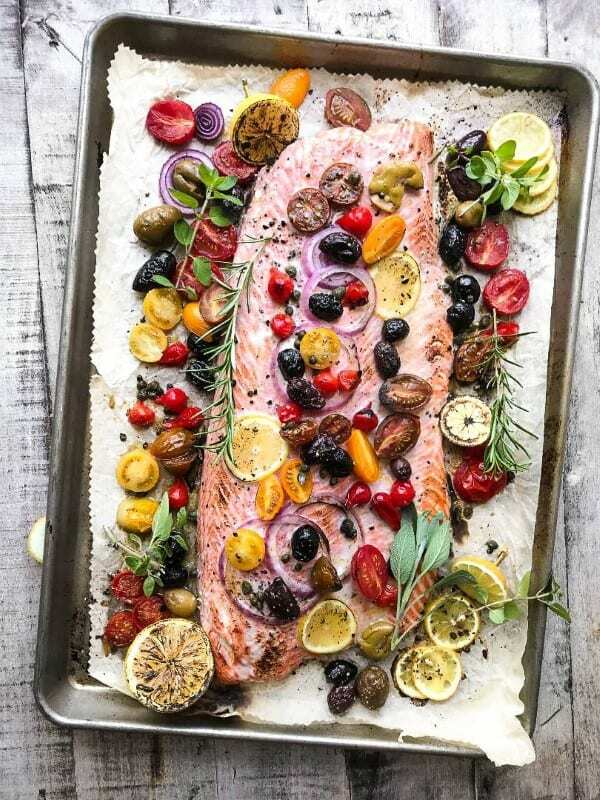 Salmon in particular turns out magnificently done on a sheet pan. 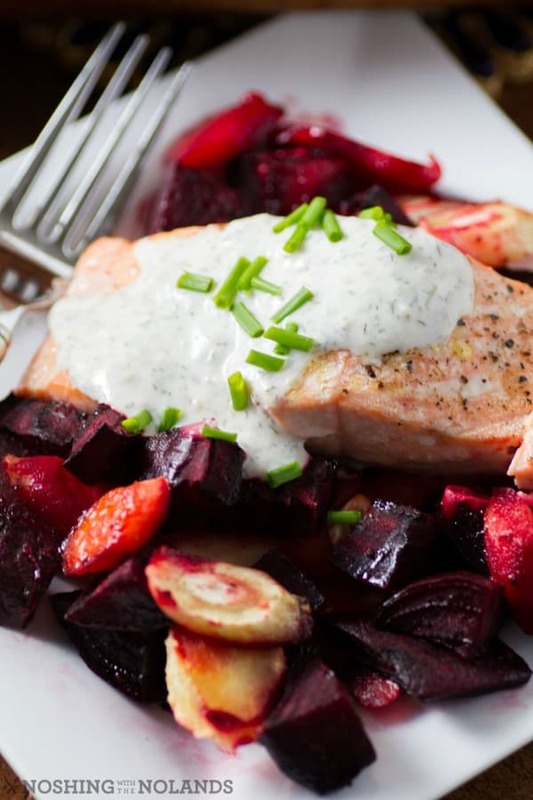 You could substitute steelhead trout for the salmon if you wanted to mix it up a bit. 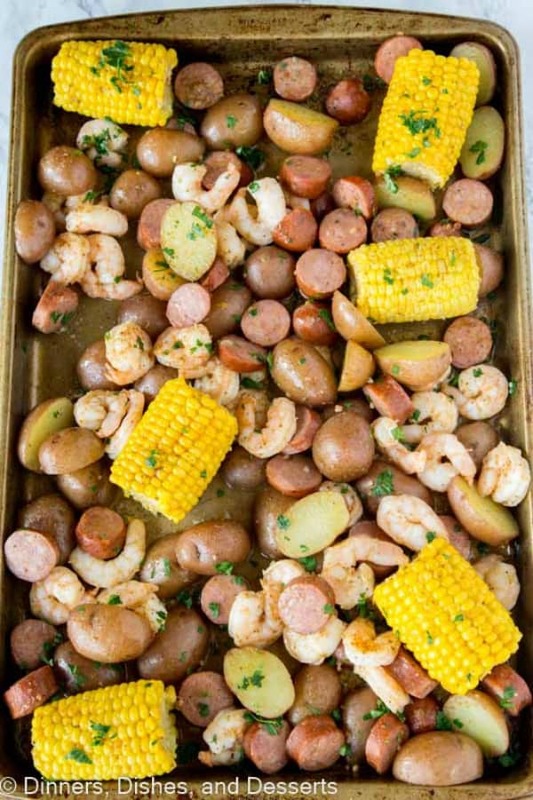 I love the fun ideas here with shrimp, adding in another variation for a seafood feast. Finally we have for you Vegetarian or Vegan to choose from for your sheet pan meals. 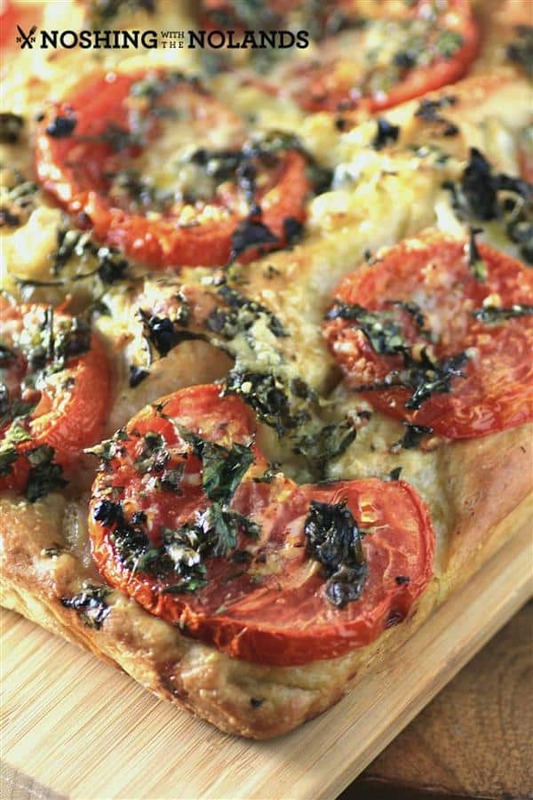 A salad would go gorgeously with the Tomato Onion Parmesan Foccacia and that is easy enough to pull together. 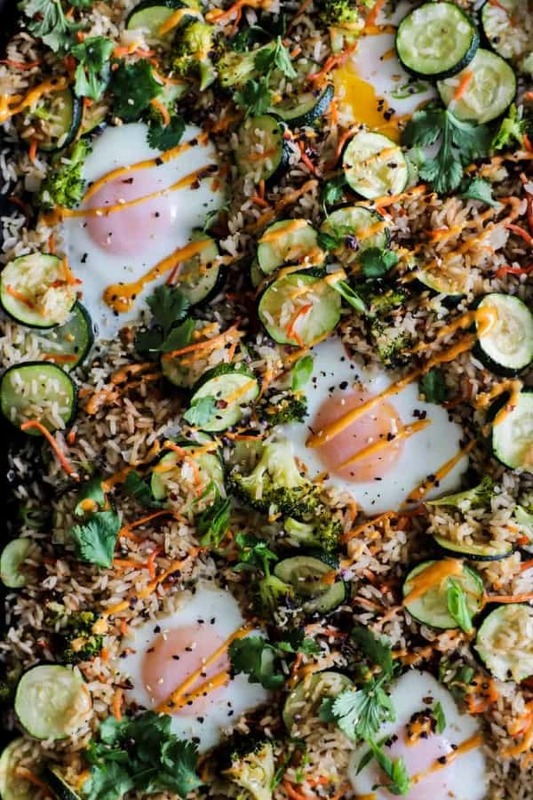 Who knew you could do a fried rice, fajita bowl or a breakfast hash on a sheet pan but there you go, some other fantastic recipes to round out this collection. Ooh, there is so much delicious here! I can’t wait to try all of these. They’re perfect for my super busy schedule. 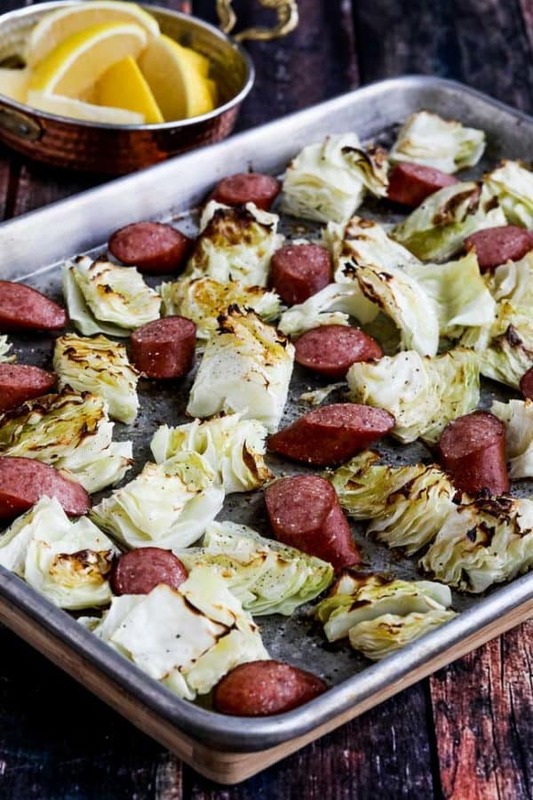 I’ll definitely have to try the potatoes and sausage sheet pan dish. 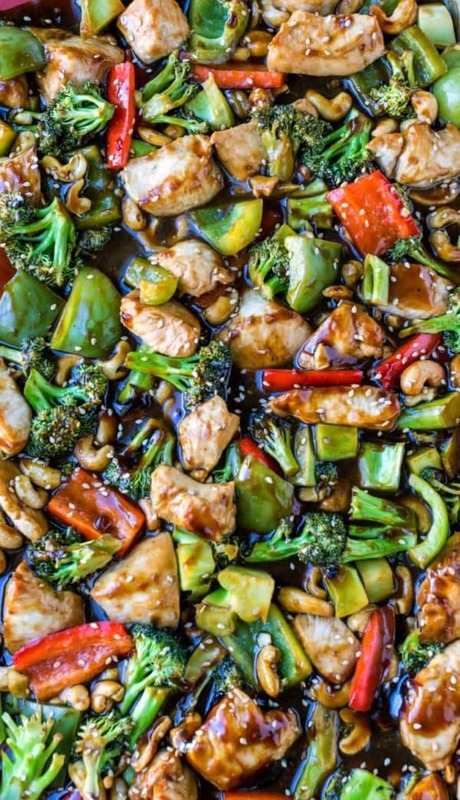 The spicy balsamic chicken with veggies sounds super good too. i LOVE THIS!!! What an awesome selection of just about every possible taste! I’m totally going to go through each recipe and try a ton of them! 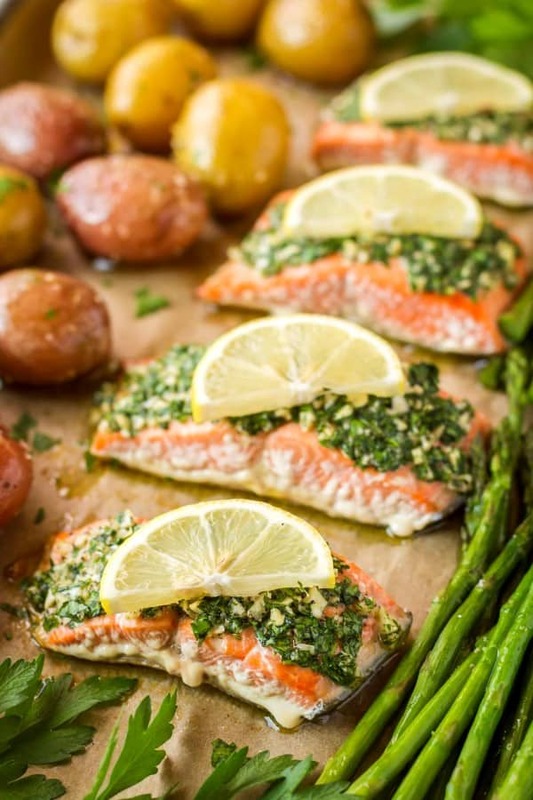 I love sheet pan dinners!! They are so delicious and have less clean up. Thanks for this amazing round up. 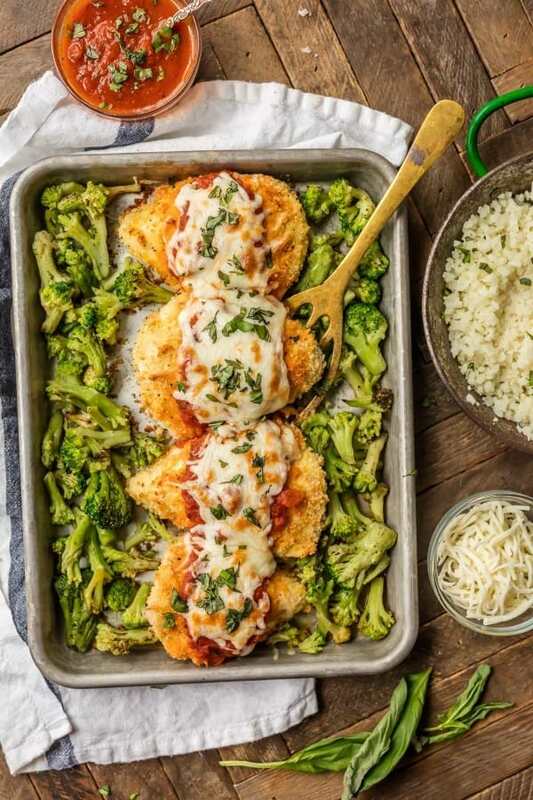 I can’t wait to try the Chicken Parm! Wow so many amazing recipes. 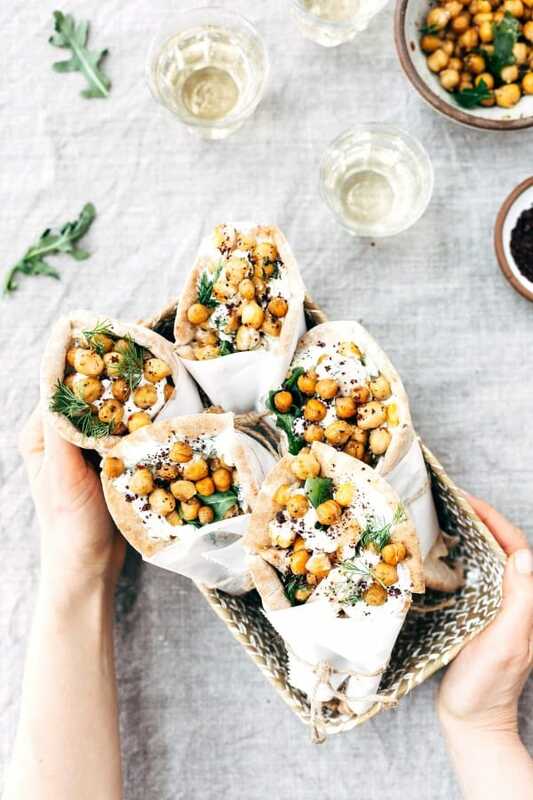 I love the idea of the sheet pan meals and I love that you included vegan/vegetarian options too. This is soooo helpful! 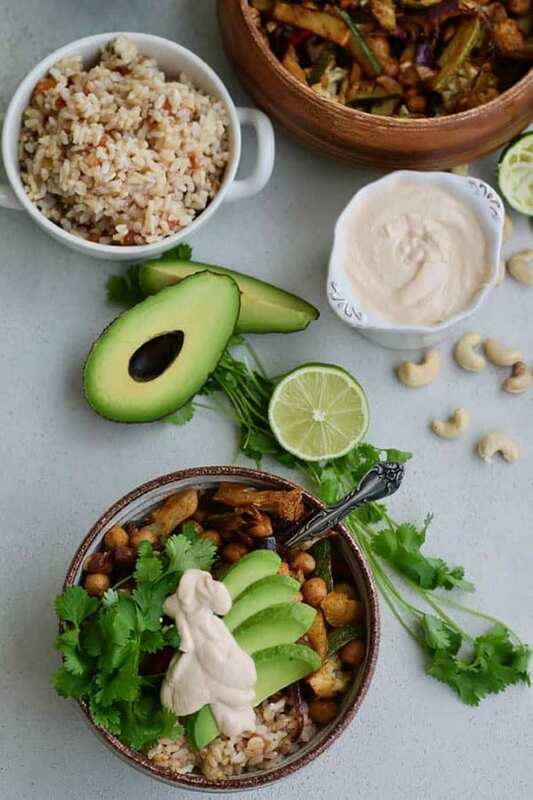 I have been looking for new recipes to add to our meal plan! I’m really excited about trying the baked chicken fajitas! Oh man, I am pinning this. 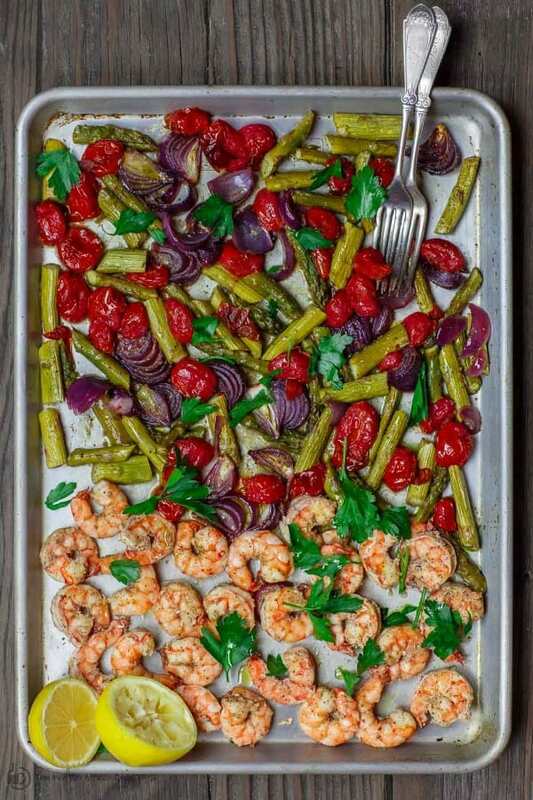 I LOVE sheet pan dinners. They are just so convenient. You have some great suggestions in there, and they all look so colorful. 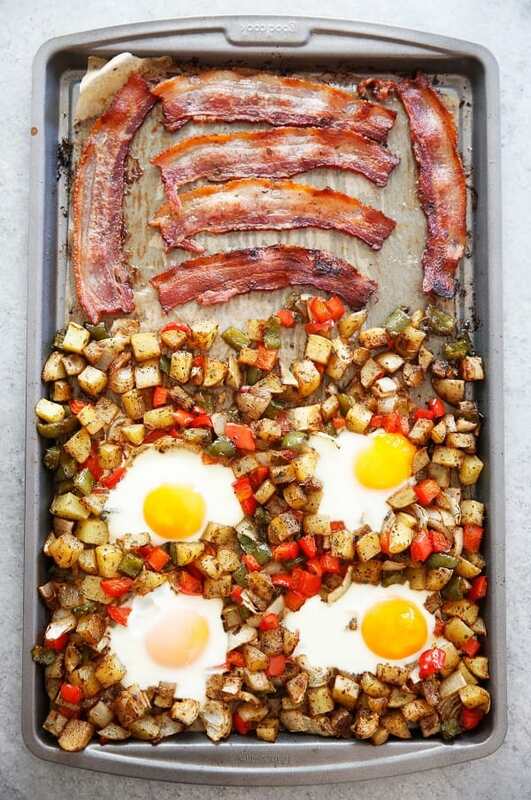 If I’m going to turn on an oven, a sheet pan is the way to go. 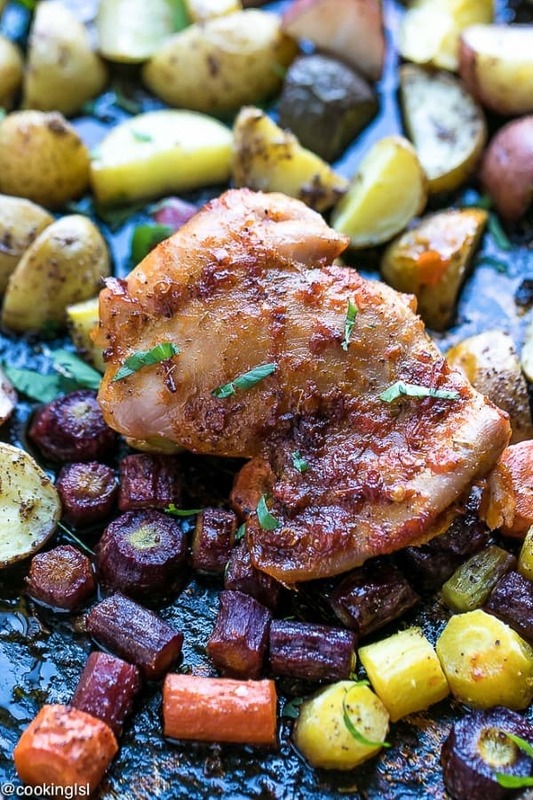 I love a good sheet pan or one pot meal that is so balanced like these. 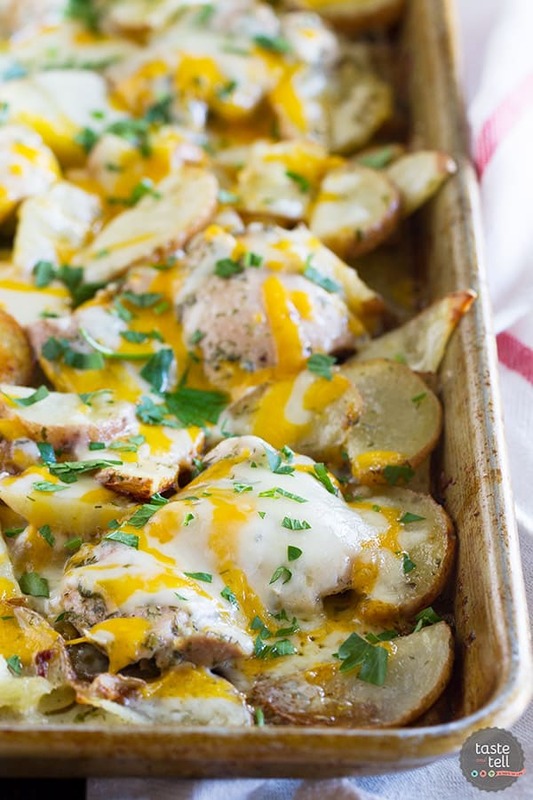 Your brussels sprouts and potatoes in some of these looked amazing and I will try and make these soon. 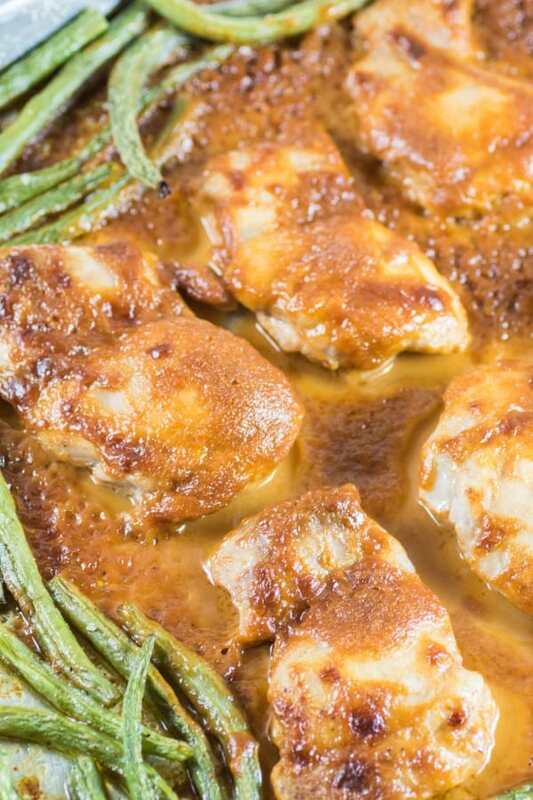 I’m a huge fan of sweet pan dinners; thanks for including my recipe! 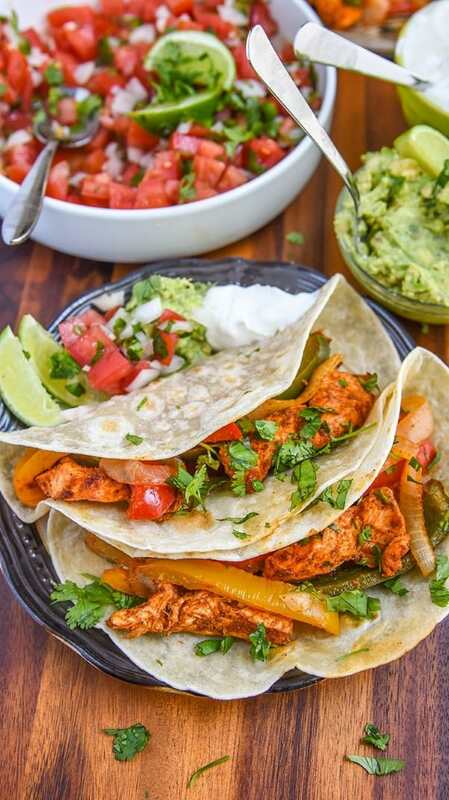 Love these for getting dinner on the table quickly – so easy to make! Oh my! WHat a great list of recipes. I can’t decide which one to start from. I got SO hungry just scrolling through this post!